Growing up in Japan, I took up oil painting at age 12, and it was always an important part of my life. My introduction to ceramic arts was at MOA Foundation Los Angeles, where I took classes during the mid-1990’s for two to three years. 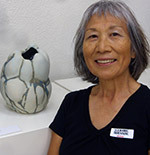 After decades of interruption I returned to ceramics seven years ago and studied at Pierce College with Melody Cooper.  I have also taken ceramics classes at McGroarty Arts Center and Burbank Creative Art Center, as well as participated in workshops at various places. A mountain ridge, clouds, the bark of trees, sea creatures, a rock wall, ripples on the lake, skyscrapers and Romanesque buildings – these are some of the things that intrigue me. I try to recreate my impressions of them in clay, but at thesame time being careful not simply to imitate them. I explore and experiment with form, texture and color to come up with something that is my own. I hand-build all of my work, using techniques such as pinching, slab forming and coil building, sometimes combining all three. My pieces are fired twice, first at about 1850 degrees F, after which glazes are applied, and then fired again to 2380 degrees F, using my own gas kiln. Opening the kiln is one of the most exciting moments in my creation process. I occasionally take pieces for a raku firing at other institutions for different effects. I plan to continue to create pieces that have an organic feel or architectural elements. It is exciting and humbling at the same time to realize that there are infinite possibilities in working with clay.